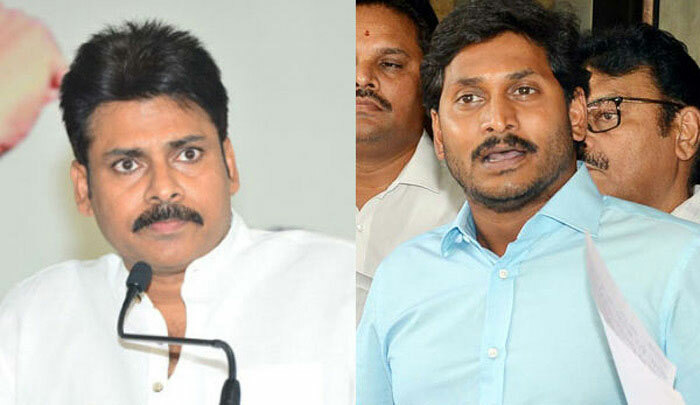 The other day, YSRCP's head YS Jagan Mohan Reddy indulged in personal dig at Janasena chief Power Star Pawan Kalyan highlighting the latter's three weddings. Pawan Kalyan reacted on YS Jagan's personal criticism at Gunthakal's public meet today. He satirically countered YS Jagan as, "Yes, it was due to my three weddings the state was divided. The corruption in the state was due to my marriages and YS Jagan Mohan Reddy was sent to jail coz. my three weddings." Meanwhile, Pawan Kalyan made it clear that he had never targeted YS Jagan on personal issues. "I speak about policies. We raise the issues on special category status, corruption and various other issues. Recently, TDP's leaders alleged YS Vijayamma garu was behind attack on YS Jagan with 'Kodi Kaththi'. But then, I rubbished those allegations of TDP leaders. A mother never gets indulged into such attacks on her own son," Pawan Kalyan said. NTR Event: Celebration or Consolation?